Eventually, every sliding glass (or patio) door will need help. They get harder and harder to open and close over time, and the most common problem is that the rollers they slide on simply wear out. The door used as an example in this article finally got so hard to move that children could barely open it and the handle broke off from excessive force. It was (past) time to do something! The most obvious first effort should be to clean the track out (remove any debris, small rocks or gravel, etc.). Vacuum the track thoroughly and see if there is any improvement; this is sometimes all it takes and is quick and easy to do. If cleaning the track doesn't work, try to adjust the rollers. This is part of any repair work and is explained below with pictures showing where the adjustment screw can be found. While adjusting the rollers sometimes helps, it is usually an indication that they are wearing out and will need replacement in the future. Rollers on the example door were adjusted some time back, and it worked for a couple of years, but eventually, they just needed to be replaced. If replacement is necessary, begin by removing the door from the track. While it may be necessary to remove the outer door first, this is not usually required. In nearly all cases the upper track of the door is deeper than the lower track and the door is not so tall that it actually reaches the top. This is so that the door can be picked up enough so that the roller assembly can clear the bottom track. Removal is generally quite simple; raise the door further into the top track and pull the bottom towards the inside. 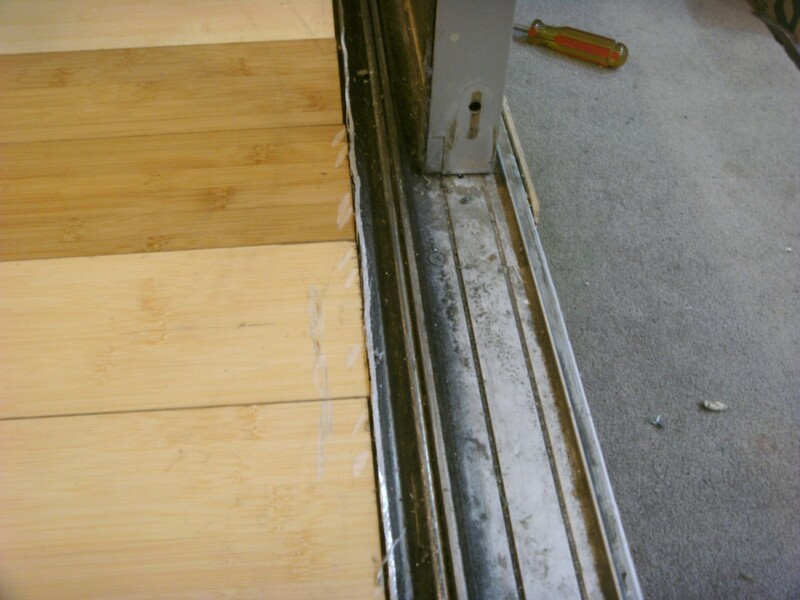 If the inside room is a hardwood floor or even vinyl tile flooring it is recommended that some kind of cover be provided to sit the door on so as not to scratch or dent the flooring. Continue this process until the top of the door comes free from the upper track and removal is complete. If you have trouble doing this it may help to adjust the rollers completely up into the door; see the final paragraph for instructions on adjusting the rollers. Sliding glass doors can be quite heavy and it may help to use a pry bar to lift it. 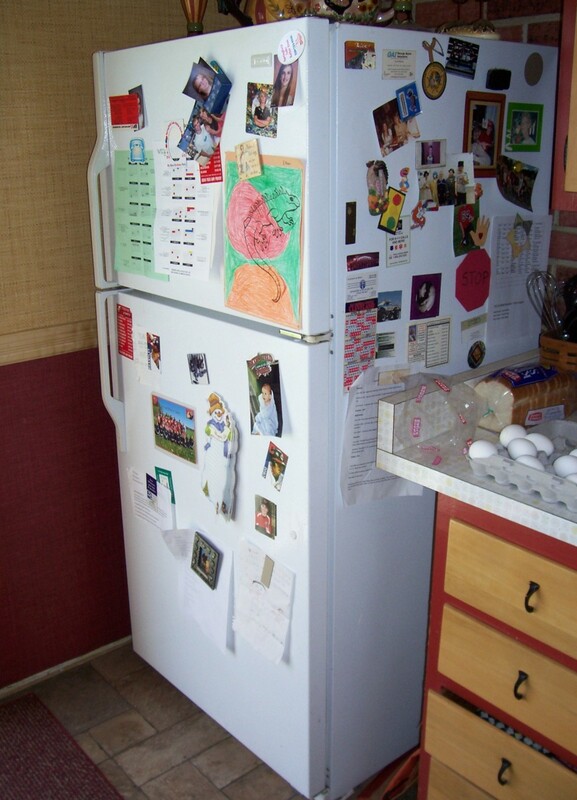 In addition, it may require help to carry the door or even to slide it on the floor. When the door is removed, it is best to lay on a carpeted floor on its edge as shown in the photos; the work to be done will be easier. 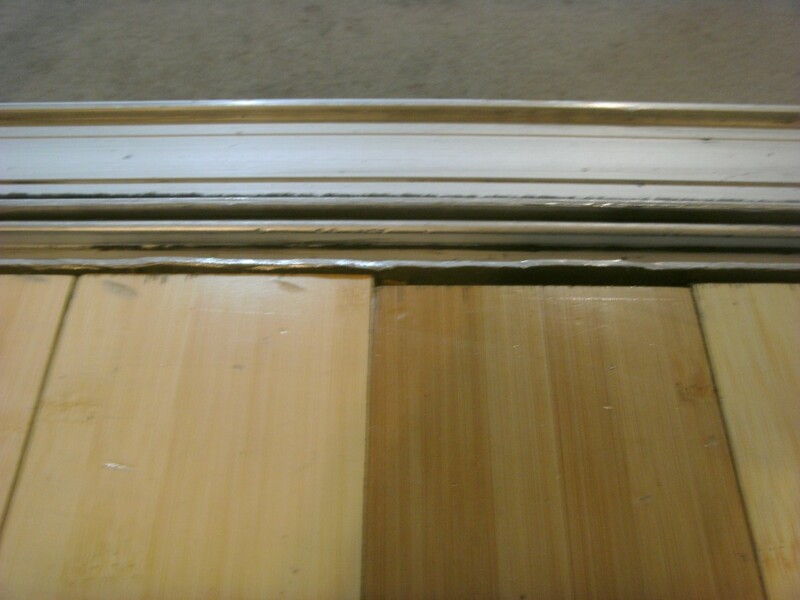 The example door had a major problem in removal; over the 30-year life span of the door, both the floor and ceiling had warped very slightly. It wasn't enough to prevent operation of the door, but the upper track had a very slight bow downwards and the bottom track had a similar bow upwards. The result was that the door could not be lifted enough to clear the bottom track even with a prybar. The answer was to use a small grinder and very carefully remove a small amount of metal from the bottom track. The very upper portion of the track on the inside was removed down to floor level; when the door is installed it still fits below this level and is thus still supported but would now clear the lower track when raised into the upper track. 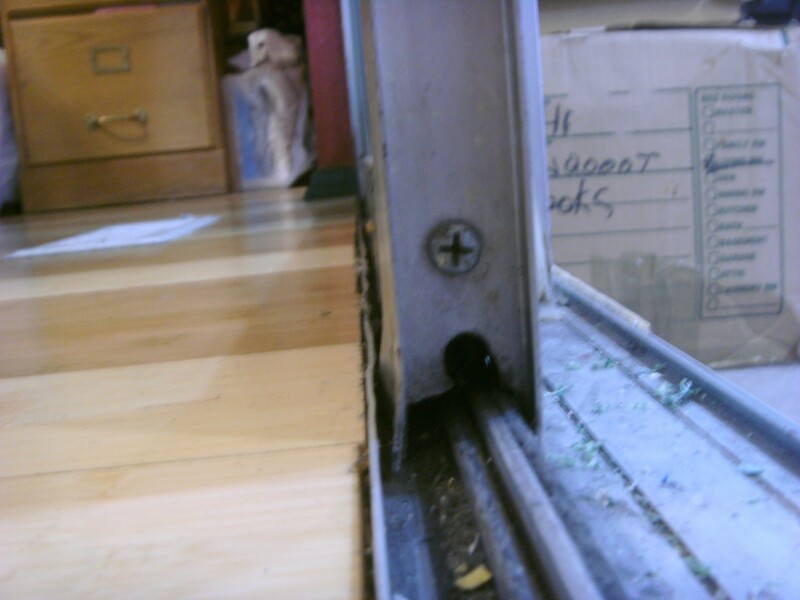 If you have trouble getting the door high enough to slide the bottom out you might check for this problem. 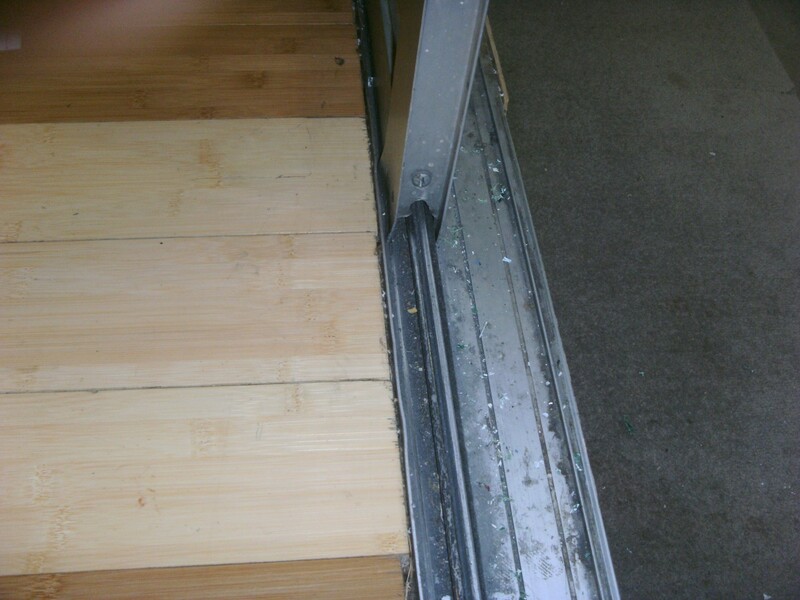 The roller assemblies are visible in the bottom of the door, near the sides (see photos). 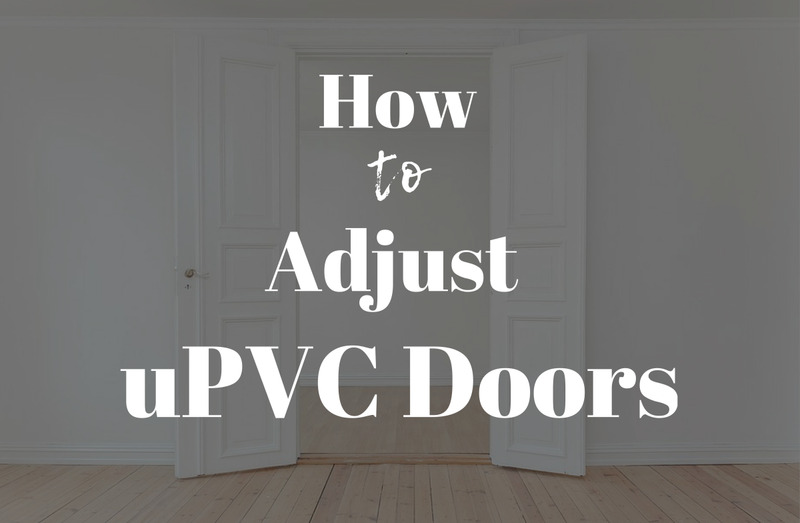 Although typically held in place with a single screw, your door will likely be slightly different and you will have to find the screw(s) that hold the assembly. Remove any screws holding the roller assembly in place and remove that assembly. At this point, there are two options: either replace the entire assembly or just the roller. (Replacement of the entire assembly is preferable, as it is much simpler.) Individual rollers are available, but will most likely require using a drill to drill out the rivet holding the current roller in place and fitting a new roller into the assembly. Whether buying either an entire assembly or just rollers, an exact replacement is necessary; while assemblies may well be similar they are very unlikely to actually work if not identical. Take the assembly to the store or use exact measurements to find a replacement. Replacement rollers may have a screw and nut arrangement to hold them in place instead of rivets; make sure that there is sufficient room for the screw and nut if you are replacing just the roller. In the example, a local home improvement store had both; a pair of rollers was $6 while two complete assemblies were only $7. The choice was obvious, and two complete roller assemblies were purchased. Amazon offers many such roller assemblies, but it is important to make absolutely sure you are purchasing the correct assembly for your door. Fit the new assembly (or the old one with new rollers) into the door frame in the same manner as they came out and put the fastening screws back into the frame. 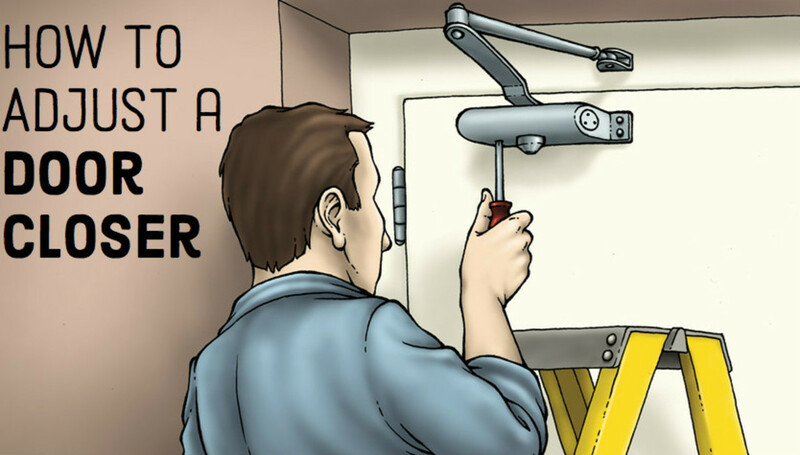 It is wise to adjust the rollers up into the door as far as possible to make installing the door easier; the next section gives those instructions. The door is re-installed the same way it came out: insert the door into the upper track and slide the bottom of the door over the lower track. The center of the door should line up on the section of track the roller rides on, but it can be moved later if you find during the roller adjustment phase that it isn't centered properly. The final step in the process is to adjust the door rollers. Using a screwdriver (probably a Phillips type), turn the adjustment screw until the door itself is raised just slightly off the bottom track. As the adjustment screw is turned it pushes the actual roller wheel down which is what pushes the door up. This screw will probably be turned in a clockwise motion to move the roller down and the door up, but it may be necessary to turn it the other way depending on the assembly that fits your door. Expect the screw to turn quite easily for a few turns but then get considerably harder to turn as the roller comes into contact with the track and begins to raise the door. It may help to raise the door very slightly with a screwdriver or prybar as that will make it easier to turn the adjustment screw. Just don't raise it so far that the roller comes off the track and allows the bottom of the door to move sideways. Adjusting this screw is done to accomplish two things; to raise the door so that it does not drag on the bottom and to plumb the door. After the door is raised and sliding freely, shut the door and adjust one roller again until the door is square with the door frame. The edge of the door should just touch the door frame all the way up and down the closed side. Re-install the exterior door if you have moved it and the task is complete. 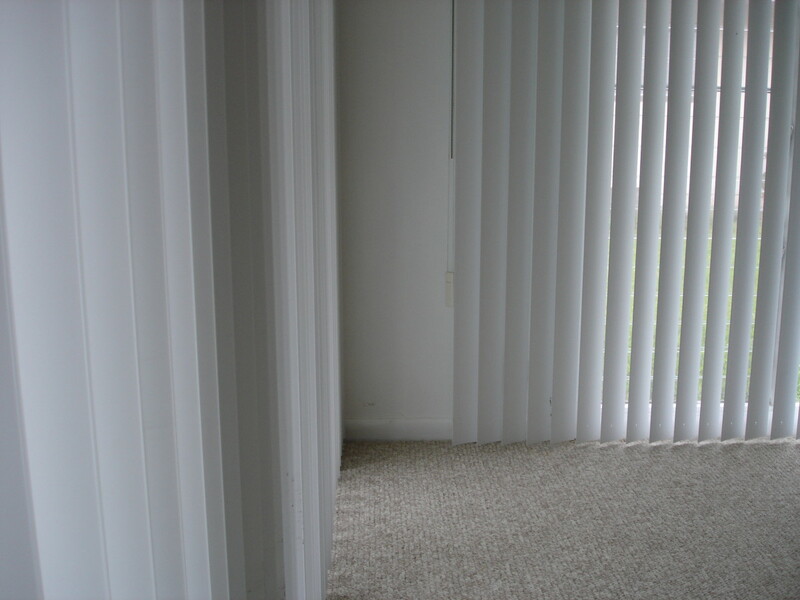 You have successfully completed your task of sliding glass door repair and installed new patio door rollers. Your door is ready for many more years of service and it didn't cost an arm and a leg to do it. Why on earth would you grind off the inner lip? Usually, this is there to stop water ingress, and removing it does not make sense. To remove the door, you may need to remove the fixed panel first. Usually, this is as simple as removing a few screws. The door will then come out easily by lifting it. The inner lip is ground because the door cannot be lifted--the upper and lower tracks were too close together to lift the doors enough to clear the bottom track. And there are no screws that can be removed to change that. My sliding glass door will not stop freezing over. So bad to the point I have to chisel the ice away to get out of the door. What should I do to keep my sliding glass door from freezing? 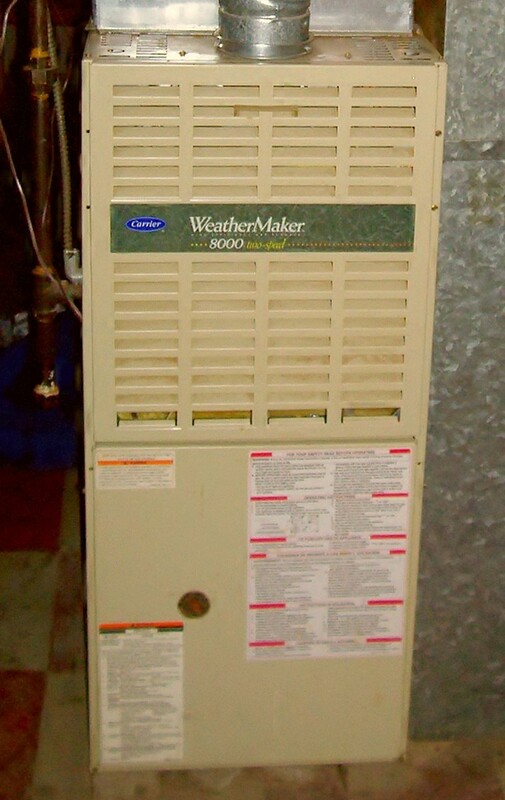 Unless the water is coming from the outside, it seems that you have a rather bad air leak through the door. Air is coming in and cooling the air at the door, causing water to form on the door and track, and then freeze. 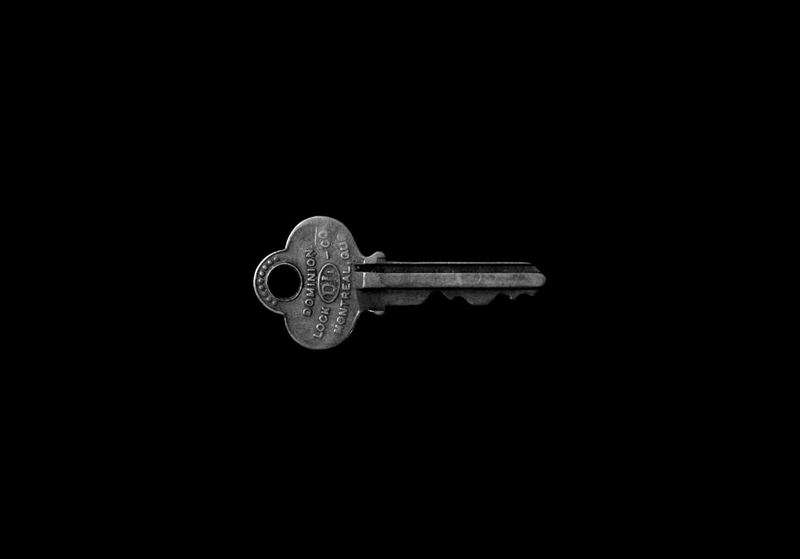 You might try sealing the door as best you can. Hello, how can I determine what brand our 20-year-old sliding glass door is to replace the wheels with the correct replacement? I'm sorry, but I can't help you here. About the only thing you could do is find someone that recognizes it, and that's going to be very nearly impossible. If you have a home repair shop (Lowes, Home Depot, Hechinger, etc.) nearby, I suggest you take the old roller there and ask for help. Beyond that, all that I can suggest is to try and match pictures and measurements with what you can find on the web - Amazon has some and more are available from other sources. Is a plastic bearing with steel brackets good enough for sliding doors? A nylon bearing is not unusual in many applications. It should be fine if well constructed and designed for the purpose you're using it for. Can I move a fixed patio glass door from the left side over to the right side? I don't want to open my door from the right side anymore. I want to open it from the left side. 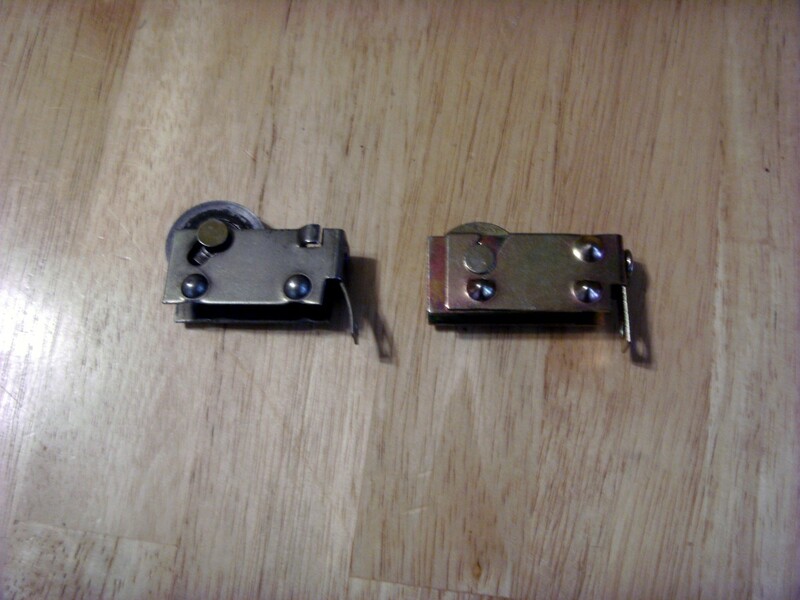 It might be possible with some doors, but keep in mind that the latch, and the cutout in the frame for that latch, is generally on the right (looking from the inside). Wow. I've never ever seen such a door. Best guess, though is what you already said - either the rollers are misadjusted or just the wrong roller for the door. As a distant third possibility, is there something caught near the center of the door that it is rocking on? The only reason I ask is that it seems nearly impossible for a 7 year old to pull the handle hard enough to pick up one end...unless there is a fulcrum near the middle that it can rock on. 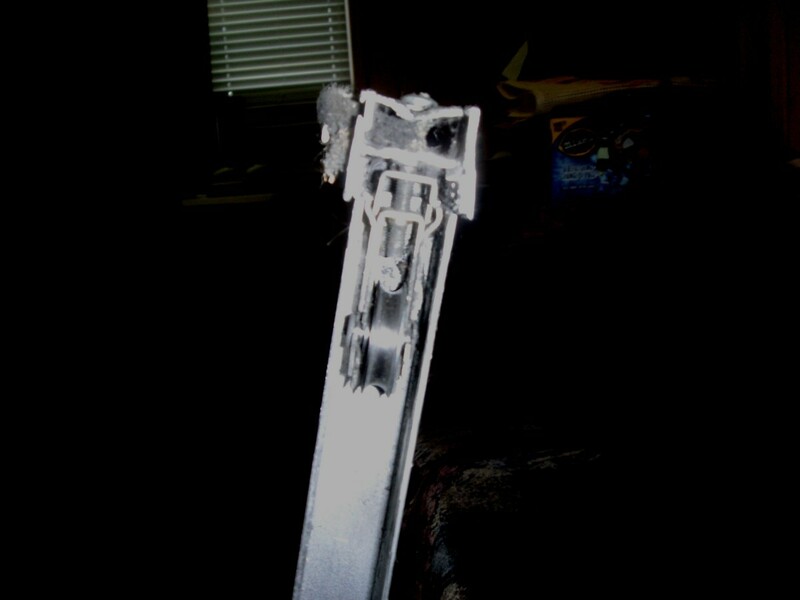 We have a serious safety issue with a ranchslider door 'jumping' out of the tracks entirely and falling over. It's occurred 4 times now; twice we were lucky enough to catch it, but twice it has gone right over and smashed the panes (it's a very old door that slides on the outside of the fixed pane, so falls out of the house, away from the person opening it). I couldn't figure out how on earth it was happening since it sits properly in the track, but I got to watch it all in slow-motion action yesterday when my 7yo son opened it - luckily he didn't try to hold on to the handle or he would have been pulled over with it and ended up amongst and frame and smashed glass. It seems that while it slides smoothly when pulled gently, if tugged (possibly with the door latch still partially closed so that it catches) it somehow 'rocks' one end up and out of the track at the bottom, then the other end pops out as well as it rocks back the other way. It then of course drops down, comes out of the upper track and goes over with a crash. This is a new issue that only started after the rollers were replaced - is this likely to be an issue with the new rollers being incorrectly adjusted (Too high? Too low? - they seem to roll smoothly enough, but are jumping off the track and making the door hard to open on a regular basis even when the whole lot isn't falling out entirely), or might it simply be that they were replaced with the wrong rollers that just don't fit right? Either the slider is not on the track properly or the stationary door has moved slightly, until it contacts the slider. The two should never contact the other, although they WILL come very close. I wouldn't think so - the door should remove towards the inside, not the outside. It is possible, though, that it will have to be removed. Hi I am trying to remove my sliding door to fix the rollers. All this seems quite easy except I have a centre support post I think it is on the ooutside of sliding door. Do I need to remove this to get the door out? I see. You have two adjustments, one at each side of the door. The likely problem is that they are very slightly different. Try adjusting just one side slightly, moving the roller down and the door up; that should change the angle of the door, either making the two match or making it worse. If worse, of course, adjust the other side of the door. Or are the doors pushed apart, with the bottom of the moving door moved out from the fixed door (towards the inside of the house)? If so, it is probably off the track, with the roller riding flat on the floor instead of the raised track. I have one, though, where the FIXED door has moved. The screw holding it down stripped out over the years, allowing that door to move towards the inside of the house, and causing the moving door to rub on it. The opposite of what you say. I had to build my own small bracket to screw it to the floor. I think I poorly explained the problem. The doors do not close perfectly leaving a slight gap between the doors at the bottom. They close perfectly at the top but there is a 1/4 inch gap at the bottom. The doors should not touch the bottom of the track; they should ride on the rollers, which will hold them just off the bottom. They should, however, fit within the outer guides and lower than the tops of the guides. If they cannot be adjusted to this position, just off the bottom so as not to drag, then there is something wrong with the rollers. My doors are very similar to the ones shown here, but they do not touch fully at the bottom now. Any suggestions for adjusting them please. Can't help you there. If you broke one, though, you can get a glass store to replace it. Where can I buy a new single sliding glass patio door? Very helpful link. Thank you! Have difficult y keeping house safe despite trying all types of locks. Are patio doors openable if they are double lock types. No, I have only replaced with original style rollers. I suspect it would take a lot of modification to use a different style if it is possible at all. Good luck worth whatever you choose! I replaced our rollers in one of our sliding glass doors last weekend. The type of rollers in the door were Barton Kramer 467. This type of model uses a roll pin to secure the roller into the door, instead of a screw. I replaced the rollers on the door, it took forever because the roll pin would not fit into the hole provided. Now BOTH my doors won't slide. I am going to get a track cover now as well but wanted to know if I can purchase different rollers to put in the door? I really don't want to mess with the roll pin parts again and would much rather use an updated model that uses a screw. Have you ever done this? Looking for some advice ..
Our door isn't real eay to move, but I just figured we had heavy doors. Now I wonder if we should look into replacing the rollers. We do use the door a lot and it is over 10 years old. However, I think this will have to wait until the spring! We had sliding glass doors for years and had such a hard time cleaning them, getting them off the runners. They were terribly heavy and they were the first of their kind, before they became fashionable in the 70's. This is top stuff, wish I'd found you back then! @Fellow: That's exactly what happened to me; the smaller children could no longer open and close the door and even the older ones at 9 or 10 years had a tough time of it. As that door opens into their play room it was a bit of a problem. Hopefully a good cleaning will help, but if not it's worth replacing the rollers. Much easier and cheaper than replacing the whole door! @JustAskSusan: absolutely, try cleaning the track first; that's usually the problem. Eventually, though, everything wears out and it will need new rollers. What a useful hub. I didn't know that you could replace the rollers. Ours is getting a bit stiff when we open it so I'll try your suggestion of cleaning the track first. This time of year we get a little bit of an ice build up as the door is used quite a bit with letting the dogs in and out all the time. Thanks - I will give it a try when that roller gets worse. Unfortunately, you will have to drill out at least the rivet. Once that is out the starwheel will likely follow, but it too could need drilled. Good article. I can get my door out. The door was installed in 1968. The problem is the roller is held in on one side by a rivet and the other side has a starwheel/set screw arrangment for adjusting the roller height. The rollers are about 6" from the door end. How do I get the roller out? Do I need to drill out the rivet and starwheel or is there another trick? My first guess is that one or both of the rollers isn't installed correctly, that it is moving inside the door. One direction forces it down, while the other direction allows it to rise, dropping the door. Before removing the door again, you might check that the adjustment for both rollers are firmly screwed downward, raising the door. I've used a long, small screwdriver to reach in and see if I could "wiggle" the rollers up and down; if I can it is not adjusted properly. I've also had a piece of the stationary aluminum door come loose and drag on the other door. One direction tends to fold it back where it belongs and the door slides easily while the other direction tends to force it further out and jam. You could actually see where the door was being gouged by the stationary door with the loose metal. Hello! I know it's an old thread. But, quick question. Handyman has replaced rollers. Door now closes nice and easy. But, if you open the door it drags and shudders to open. What could that be? Is there more than just rollers? Thank you again and again for your help. It was a great how to. That sounds like the thing to do all right. One thing you might look for; if the rollers have broken off they can prevent the door from sliding out. I've had to pick up the door with a crowbar and then carefully reach through the gap at the bottom and lift the roller with a putty knife. There was just enough clearance with the door up to do that and it was really the only way to get the door out. The broken roller would always catch on the track because the adjustment screw couldn't lift it. Please do let me know how it goes - I would be interested in the final result. I agree with you. I do not know how this guy from home depot performs service to customer like that. When he said taht it sounds easy, but when I take a look at my door, it doest. I plan to take the fix panel first. 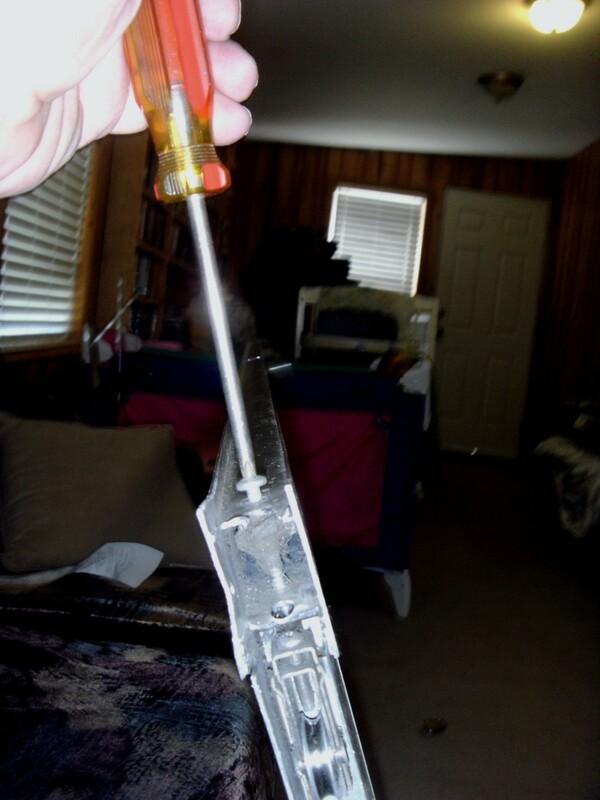 It has two stoppers top and bottom to remove. Then, I will use a flat crowbar to raise the door, and pull it out from the bottom. The rollers seems to be bost because the adjusted screw don't do anything. A sliding door 12" wide like this should be installed the frame first and then the panels. So with a little patience and care, I should be able to remove all panels. I will let you know how it goes after the weekend. You are more than welcome, and I appreciate your letting me know of your experience. Like you, it probably took me longer to drive to town and find the rollers than it did to install them but that's all right. As you say, it's far cheaper than putting a new door in and a lot less work as well. Glad it went so well for you. Wilderness, I just had to write and say THANK YOU for writing this hub. We just finished our "project" and it was pretty easy. It took a while to find the right rollers at the hardware store, but we finally did find them - and the door is sliding freely now. This saved us a lot of money! I'm afraid that I can't be of much help here. I would be really afraid to try to take the door frame apart (which it sounds like you are being advised to do) without being able to get it out of the frame. It seems like the weather tight seam would likely be compromised all too easily. It also sounds like you likely have the same kind of problem I had. I just can't see a manufacturer making a door that must have the entire frame removed from the surrounding wall to repair or replace the rollers, broken glass, etc. I tried to remove the door by going outside as the outside lip was shorter, but found the exact same problem as the outside door was just a little taller and that door would not come out any more than the inner one would come to the inside. How much too tall is the inner lip? Can you remove a small part of it through grinding, filing, etc? I have a double sliding door 96"x36", which I think it requires to remove the two fix panels at the ends first because they are on the outside, and the gap of the floor inside the house in too high. I went to home depot, and one of the employee said he doesn't need to remove the door in most cases to install new rollers. He first pulled the roller in with the adjuster screw, the remove the two screws at the top and bottom side of the door. Then, with a rubber hammer, he hits the side frame of the door to remove it and replace the roller from the side without taking out the door. No, they are not so heavy that a smaller, 8-15" crow bar would be insufficient and even a large screwdriver is enough to shift it enough to clear the track. As you say, using a large one would have simply cracked the glass as the door here could NOT go up enough to clear. Glad you enjoyed it, and thanks for the comment. I am glad you did not opt to get a bigger crow bar (pry bar) to attempt to lift out the patio door! Enjoyed the article. flag up! 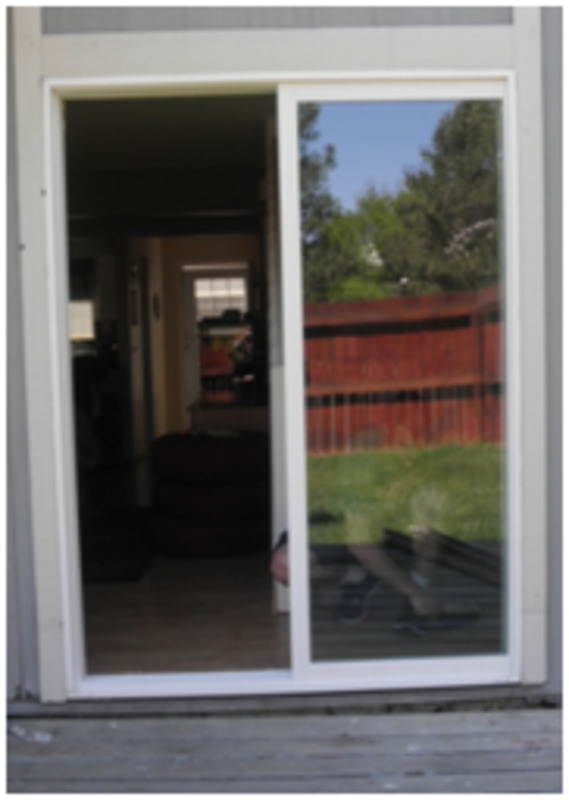 It's a great option to buying and installing a whole new patio door. The door replaced here was so hard to open that the handle had broken off from simply opening and closing the door, but it now slides as good as new. I'm glad I saw this one on my home page - our sliding glass door is getting stiffer and stiffer, and only the "grown-ups" can open it - with a LOT of force. We were starting to look at getting a new door, but this would be a LOT cheaper! Thanks for the article (and I'm bookmarking this one to show my husband later)! Thank you. Yes, it is not difficult. Were it not for the bowed floor and ceiling, and discounting shopping time to find the new rollers, the time to repair was probably around 30 minutes or less. Now the problem, though is that the kids slam the door hard - they are used to it taking all their strength to close it! Good, thorough how-to. This is actually simpler than I thought it would be.